minutes to CBD, Orchard Road, Marina Bay Sands and even Sentosa. 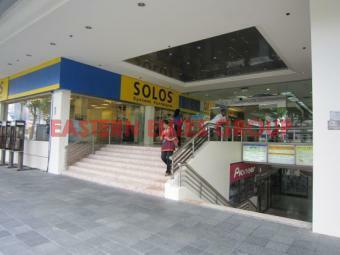 unit #02-08/31, size 678 ., prime retail space, at $900,000, just beside the escalators, tenanted till May 2013. Highstreet Centre is a 99 year leasehold apartment development located at 1 North Bridge Road, Singapore 179094 in District 6 near Clarke Quay MRT Station pleted in 1969, it is located in the vincinity of landmarks like Clarke Quay and Boat Quay. Highstreet Centre is located close to shopping centres like Riverwalk Galleria and Funan Digitalife Mall. Educational institutions located nearby include Auston Institute of Management & Technology and Singapore Management University. For vehicle owners, Highstreet Centre is 5 minutes from Orchard Road and the Central Business District.